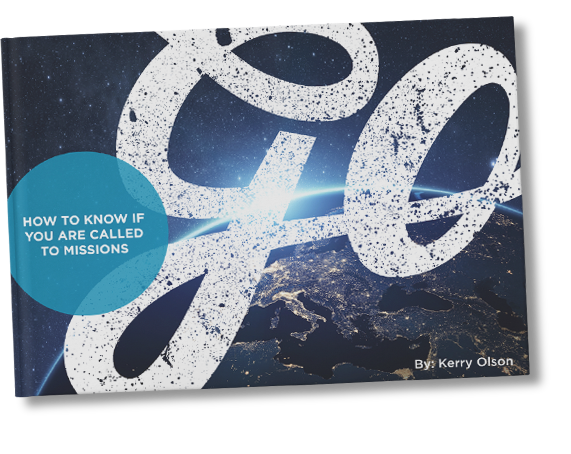 By now, you’ve realized that you are in fact called to be a full-time missionary and you’ve learned how to know when you’re ready to go overseas. However, there is still one more major question left for you to answer: how do I know where I should go? There is such a great need for missionaries in so many different places that it is often incredibly difficult to decide which location is the best fit for you! To find a solid answer to this question, we asked Carol Freeman (BGU Campus Pastor) and Steve Eliason (Professor of Intercultural Studies) to share their wisdom and advice on making this decision. From the advice that the two of them had to offer, we present to you six practical steps to discerning God’s call to a specific country. Let’s get started. He meant it literally and our actions are intended to display this belief. As you pray about what country to serve in, be intentional about reading the Bible and gaining the wisdom that it has to offer. Ask the Lord to highlight specific scriptures to you and, when He does, ask Him how it is meant to influence you. Then, as the Lord begins to speak to you in various other ways (through friends and family, in your quiet time, etc. ), backup everything that you are hearing Him say with Scripture. As you are making big decisions, the advice that you will receive from most Christians is to “pray about it”. This may sound at times like cliché advice that is often used in place of real, solid advice, but hear me when I say this: there is so much power in prayer for it gives the Holy Spirit an opportunity to speak into your life. God longs to speak to us – He wants us to hear His words! When we have to make decisions that seem big or scary, it is essential for us to lean on the Holy Spirit and allow Him to advise us in wisdom. One way that He does this is by igniting our emotions in a certain situation. Does the prospect of serving in a certain country excite your heart? Do you feel at peace about a decision that you’ve made? These heightened emotions are often confirmation from the Holy Spirit, and it is essential for us to recognize these as we are making decisions (especially the super huge, life-changing ones). It is essential for each of us to have people in our lives who we trust to seek advice from when we come to a fork in the road or have a big decision to make (parents, teachers, pastors, friends, grandparents, etc). Those who have more life experience than us can pour helpful insight into our lives that comes from both their own personal discovery as well as the purity of their intentions in wanting what is best for us. When we humble ourselves enough to allow God to use other people to speak in our lives, it will often fill us with encouragement, clarity, and a renewed sense of direction. A fourth way that we can have wisdom in making big decisions is by paying attention to our circumstances and to the way that things are happening around us. Does the country you feel called have a zero-tolerance policy for hosting foreigners, no matter their religion? That might not be the right place for you to tackle as a long-term Christian missionary. God speaks to us in many different ways, including the details of our circumstances. We need to be open to and observant of those details in order to effectively make decisions that will affect our present lives as well as our futures. God has given each of us specific gifts and talents for a reason and determining those is one sure-fire way to make a decision about your next steps. What giftings has the Lord blessed you with? How do those fit in with a specific organization, ministry, nation, country, or culture? Answering these questions will help you to narrow down how and where your long-term impact will take place. One way to define these giftings and talents is by answering this question: What do I do when I’m all alone and no one is watching? Odds are that this thing (or things) are your passions that you will use to change the world. As lovers of Jesus, we know that our gifts and talents are not our own and we are called to invest in and develop them to use for the expansion of God’s Kingdom. Vision trips are a great way to discern what specific country God is calling you to. A vision trip is different from a short-term mission trip in that the sole focus of your trip (besides being open to the work of the Holy Spirit in and through you every moment) is to envision yourself serving long-term in that location to determine whether or not it is the right fit for you. This idea of envisionment is so essential in our lives that we can see it taking effect in many different areas – clothing stores offer fitting rooms, car dealerships encourage test-drives, and colleges arrange campus tours. In the same way, vision trips can be an incredibly useful tool for missionaries to determine where they are being called to go. These six practical steps will be incredibly helpful as you seek to discern God’s call to a specific country. This is a big decision that will affect a large portion of your future and it is important to seek out the Lord through every step. However, perhaps the greatest blessing about walking with the Lord in this is that stress and anxiety are futile because ultimately it doesn’t matter what you choose. If we are fully surrendered to the Lord and intentionally seeking His will, He will guide us. It’s all about faith.